Remember way back in the day before the Internet existed and planning a trip to Folly Beach meant that you had to wait for the rental booklets to come in the mail, select a house, and then call the agency to see if it was available for summer? And that was only for those who already knew about Folly Beach. Other vacation-hopefuls looking for a beach trip in the pre-Internet days had to go one step further and consult a travel agent. These agents would listen to what the vacationers wanted and then try and meet those needs by showing glossy brochures and rental magazines to them. Many times customers had great vacations using travel agents, but there were also the unhappy customers who didnt get what they wanted out of a vacation. Using a travel agent was hit or miss back then and millions of people in the world who wanted to get away, but didnt know where to go, needed some kind of answer. Then the Internet rolled around. This enabled people to search for where they wanted to go and use global travel sites to book hotels, flights, and car rentals. Over the years, the features on these sites improved so visitors could find out if they were going to be staying in an area under construction, but for the most part, not a lot of information was available. That is still true to this day and it is why sites like FollyBeach.com offer such a unique way to book a vacation. 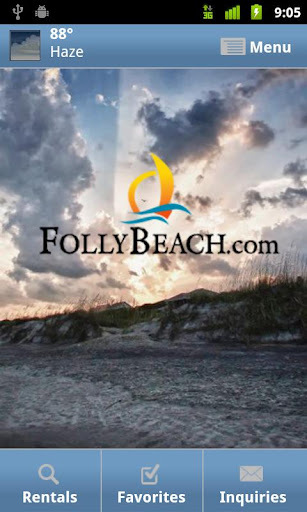 FollyBeach.com connects visitors Folly Beach by providing ample information about what they want to know about. Want to stay on front beach and have a pool? Book it on the site. Want to find out what restaurants in town serve crab legs? Check out the restaurant tab and browse menus. All of these questions can be answered because the site is devoted to being local because the objective of the site is to let everyone, near and far, feel like Folly is just a click away. And now, thanks to the new free app offered by FollyBeach.com to Android and iPhone users, that local touch just got even better. 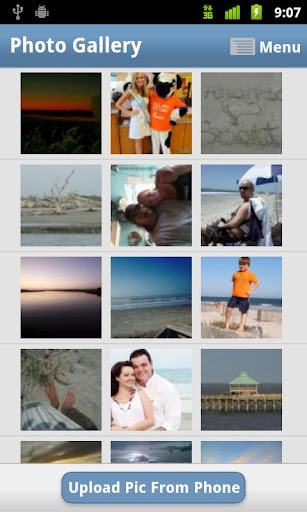 The app takes everything that FollyBeach.com offers to smartphones so that Folly Beach is never farther away than ones fingertips. The app allows for users to do everything they can do on the site like checking the weather, booking rentals, posting videos and photos and comments, and finding out just about anything youd want to know about Folly Beach. Imagine sitting at work, far, far away from the coast, and thinking, I wish I was at Folly. All smartphone users need to do is take out their phone and use their Folly Beach app to scroll through photos and videos. The feeling of sitting in the sun-warmed sand while the ocean crashes at the shore will come in an instant. So wherever you are, if Folly Beach is your favorite place on earth, get the app and visit anytime you feel the need. To get your free app, visit follybeach.com from your smart phone to be prompted for the right version, or visit the applicable store below to down free of charge.